Prof.dr.ir. Pieter van Gelder is Professor of Safety Science in the Safety and Security Science section at TU Delft. He is also the director of the TU Delft Safety and Security Institute, Chairman of the ESRA Technical Committee on Natural Hazards (European Safety and Reliability Association) and Programme Director of MoSHE executive education (Management of Safety, Health and Environment). He has published a large number of very highly cited papers in the field of infrastructure safety. His background is in the statistical modelling of high impact Low Probability (HILP) events and the consequent decision making processes, with applications to natural hazards and infrastructures. 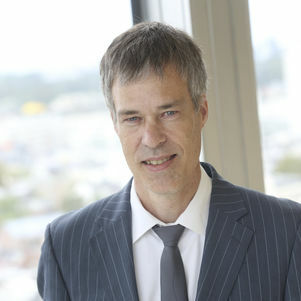 Van Gelder’s research focuses on probability analysis (including data analytics, QRA, BBN, uncertainty analysis, sensitivity analysis, safety chain (proaction, prevention, repression), fault tree -, event tree -, attack tree -, decision tree analysis, game theory, inspection strategies and – optimization, penetration testing, stakeholder analysis, risk norms, risk optimisation, risk compensation, accident investigation, forensic engineering, resilience – and vulnerability analysis). Furthermore, his interest is on modelling conflicting values (such as safety vs. security, privacy, economic costs, durability, etc). Finally, he studies the impact of new threats (incl. urbanization, ageing, budget cuts, climate change) on safety and security, as well as the impact of new technologies (robotics, remote sensing, digitization, social media, artificial intelligence) on safety and security.